The bathing room should be a place of warm invitation, a simplistic space where you can just be. 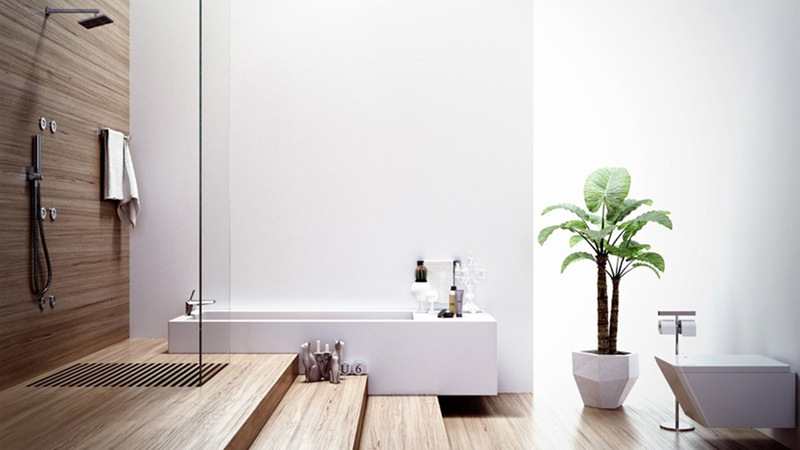 Create an inviting and modern bathroom design with a bit of rethinking and restructuring. Consider how shapes and patterns can completely reform the overall feel and look. Think geometric and angular for an attractive midcentury look. The idea of a “modern” design was first created in the early 20th century around the post-World War II era. Several prominent designers came from the Nordic European countries with a passion for pleasing aesthetics in simplistic form and function. Their seamlessly elegant taste was without frills and lavishness. 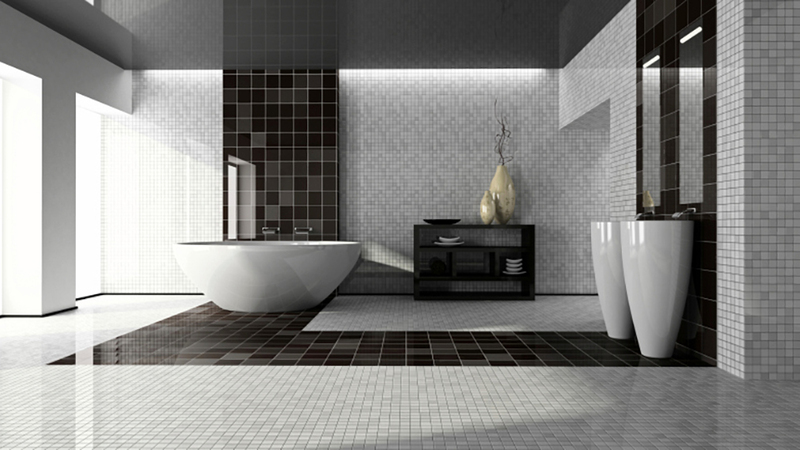 Now modern bathroom designs are growing popular. These unadorned layouts provide a stress-free space for clear thoughts and easy cleaning. The ideas can work well in both modest and extravagant spaces. For the many fresh homeowners struggling to make the most of tiny spaces, modern design is perfect. For example, a simple modification such as a raised, pedestal-styled sink can provide angular shapes while enhancing spaciousness. Combining the quirky shapes with flowing patterns throughout the furniture and fixtures is the crux of modern bath décor. When in doubt, go minimalist. With bathrooms, especially small ones, less is more. 1. 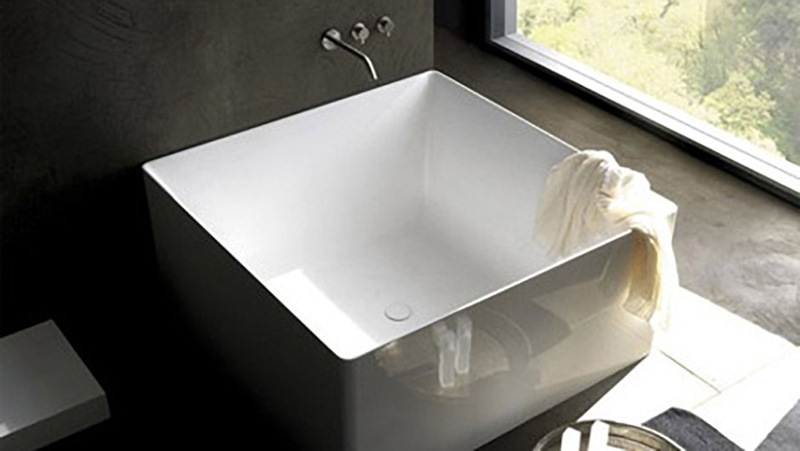 Square Tubs: While this may completely throw you off balance from the traditional rounded bathing piece, square tubs are timeless. They provide an angular shape for a modern feel and memorable design. They’re used widely in Italy. 2. 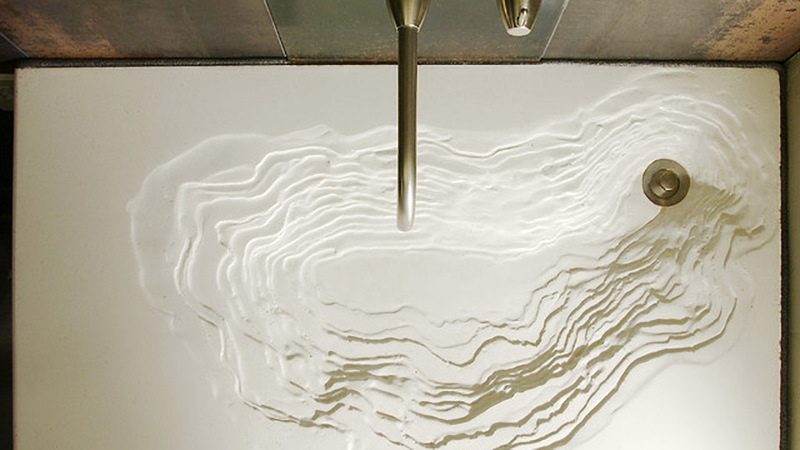 Erosion Sink: Choosing white porcelain for this will provide instant elegance. The unexpected inner design both catches the eye and provides a flowing design. Look up the latest release from Gore Design Co. for some mind-blowing styles. 3. Asian Minimalism: In line with European styles, Asian culture often provides a natural and organic feel. Think of spa-like vibes with a bamboo shower backdrop or a simple plant. Paired with white walls, and you’ve created a calm, relaxing experience. 4. Checkerboard Floors: Consider colors and angles sleekly designed across your floor. 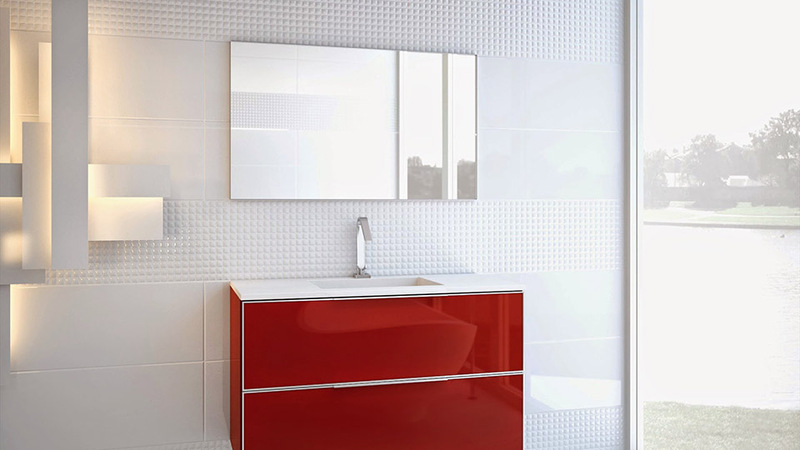 This is a modern style which lends appealing simplicity to your restroom. 5. 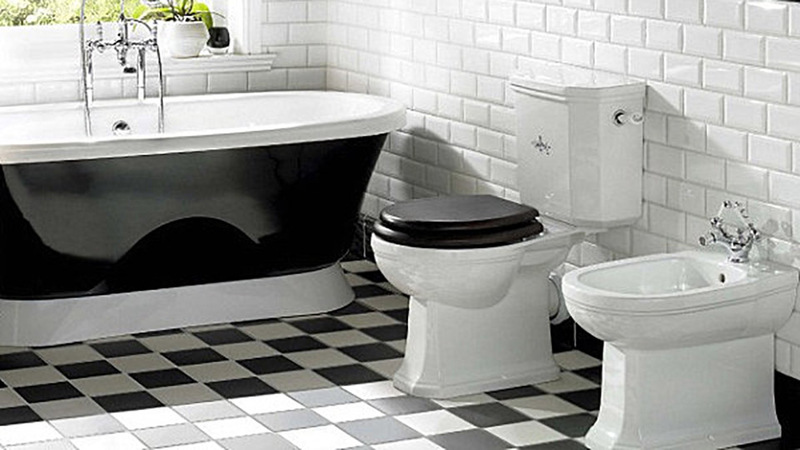 Accent Pieces: Think a bright red tub or sink, or a lime green toilet design. It will stand out and add modern style without the clutter or lavishness. This style has become quite popular for bathrooms in Los Angeles. When you can create a relaxing and calming environment, it rejuvenates your mind and body. With a few simple tweaks and bold choices, you can provide your family and guests with a restroom where rest can truly be observed.